As most of our guests know, Secrets Resorts & Spas are the perfect place to play hard after working hard. From the decadent restaurants to the pool-side drink service, it’s all included. 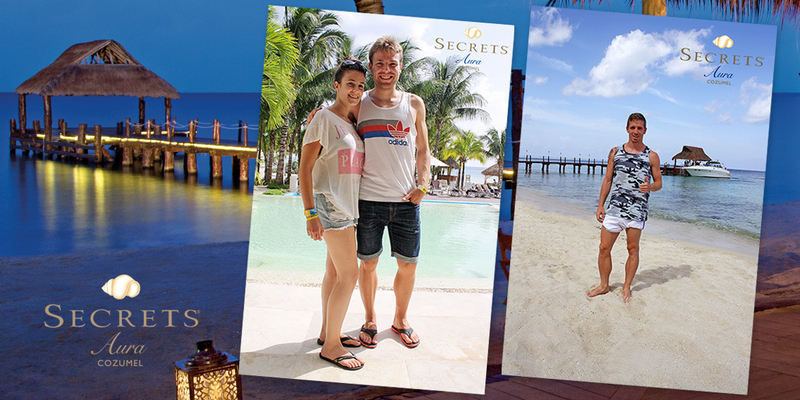 That’s why it isn’t surprising that two fútbol superstars decided to spend their vacation with us at Secrets Aura Cozumel! Asier Illarramendi with a friend (L) and Iker Muniaín (R) at Secrets Aura Cozumel. Last week, Spanish footballers Asier Illarramendi and Iker Muniaín, friends and former teammates, visited Cozumel to relax in the sun during their off season. Illarramendi, currently a defensive midfielder with Real Madrid, and Muniaín, a left winger who plays for Athletic Bilbao, took advantage of tons of activities and adventures; from swimming with dolphins to a trip to the Punta Sur Ecological Park. We can’t wait for your return! Check out some of our great deals, maybe it’s time for you to enjoy a getaway… You never know who might be in the beach chair next to you!